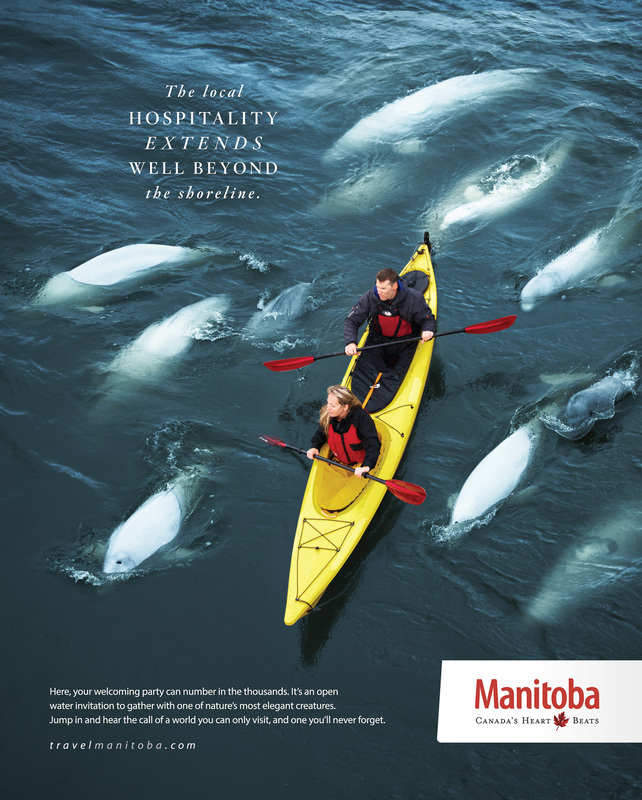 Travel Manitoba belugas. Photography by Thomas Fricke, Winnipeg commercial photographer. Concept by McKim.